Avocet have an exclusive partnership with JLC Electromet, a key producer and wire drawer of nickel based alloys that are used in thermal resistance applications. These nickel chromium alloys are used in a variety of resistance applications including heating elements and thermocouples. 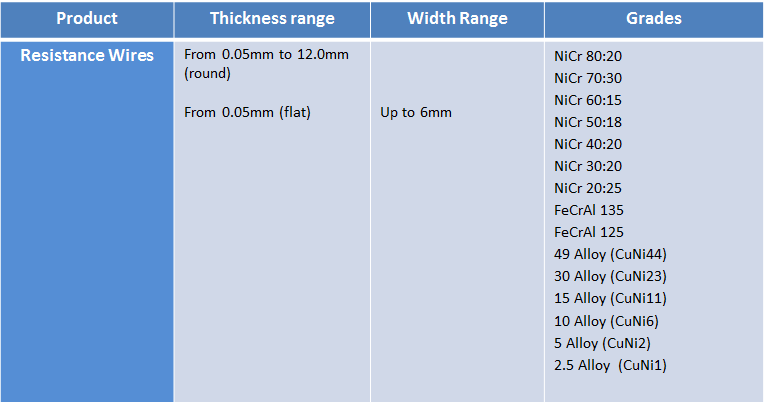 Working with manufacturers of thermal resistance products we know and understand the high standard of raw materials that are expected, and we surpass those expectations. JLC have a fully integrated process from melting to casting billets and then on to the drawing of wire rod before finally precision drawing of fine wires. This gives us full control of the entire production process in house. As a result we can be very flexible to our customer’s requirements by offering for example small minimum order quantities for bespoke products, as well as short production lead times.